By Randall Kaye, MD., Chief Medical Officer of Axsome Therapeutics, Inc.
What could help identify patients with CRPS earlier? While increasing one’s index of suspicion is likely the best way to promote early detection, please consider the strong predictors described below. CRPS is often triggered by minor or major trauma, such as needle stick, wrist fracture, surgery, but it can also occur spontaneously. In the general population, CRPS seems to occur most often after fracture (40%-60% of CRPS cases) and surgery is the next most common precipitating event. Sprains, contusions, and crush injuries are also known triggers. Retrospective population-based studies founds that CRPS is 3 to 4 times more frequent in women than in men, more commonly affects the upper limbs, and peaks in incidence at 50-70 years of age. However, in clinical practice, CRPS is often reported in much younger patients. Moseley et al. provided some compelling insight that a simple assessment of pain intensity (0-10 numerical rating scale) can be used to identify fracture patients who are more likely to develop CRPS. In their 1,549 patient prospective study, the incidence of CRPS in the 4 months after wrist fracture was approximately 4%. Importantly, it was demonstrated that high baseline pain in the week after wrist fracture greatly elevates the risk of developing CRPS. For example, patients with pain intensity of 5 to 6 one week after fracture were 15 times as likely to develop CRPS while those with a score of 7-8 were 79 times as likely. 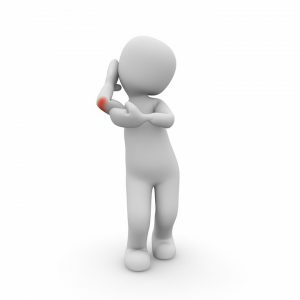 Overall, approximately 50% of patients with a score of 5 or higher went on to develop CRPS. Consequently, they suggested that clinicians can consider a rating of greater than 5/10 to the question: “What is your average pain over the last 2 days?” to be a “red flag” for CRPS. An extensive systematic review by Pons et al. further found that additional potential risk factors for the onset of CRPS include being female (particularly postmenopausal female), ankle dislocation or intra-articular fracture, and limb immobilization. To learn more about on ongoing CRPS clinical trial call, CREATE-1 study, visit this link (NCT#02504008). For information on your participation or to determine whether a clinical trial site is nearby, visit http://www.crpstrial.com. Beerthuizen A et al. Demographic and medical parameters in the development of complex regional pain syndrome type 1 (CRPS1): Prospective study on 596 patients with a fracture. Pain 2012. 153: 1187-1192.
de Mos M et al. The Incidence of complex regional pain syndrome: a population-based study. Pain 129 (2007) 12-20. Moseley GL et al. Intense pain soon after wrist fracture strongly predicts who will develop complex regional pain syndrome: prospective cohort study. The Journal of Pain 2014. 15 (1): 16-23. Pons T, Shipton EA, Williman J, et al. Potential risk factors for the onset of complex regional pain syndrome type 1: a systematic literature review. Anesthesiology Research and Practice 2015. 10: 1-15.